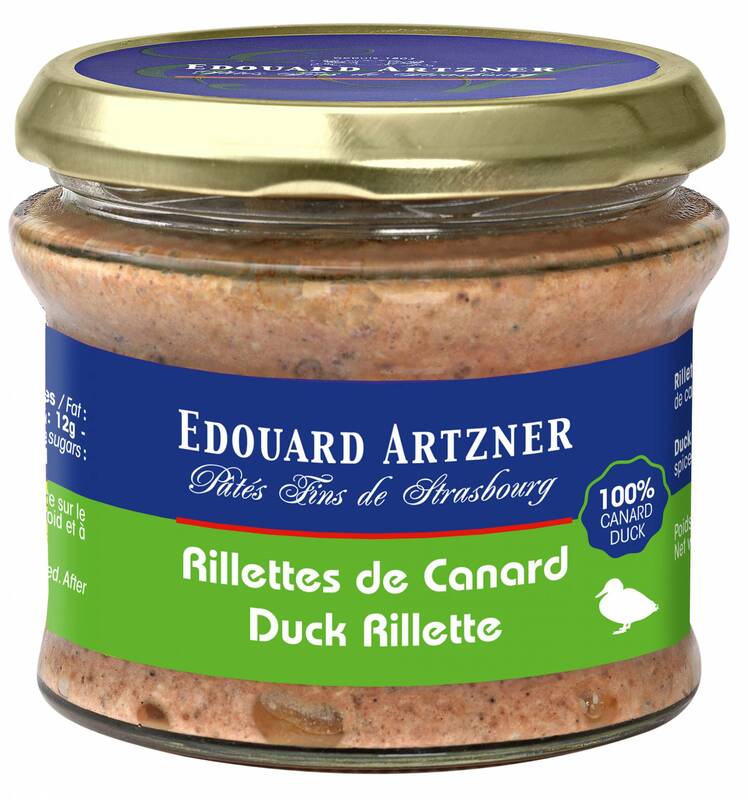 Outstanding duck rillettes prepared by Edouard Artzner in Strasbourg. 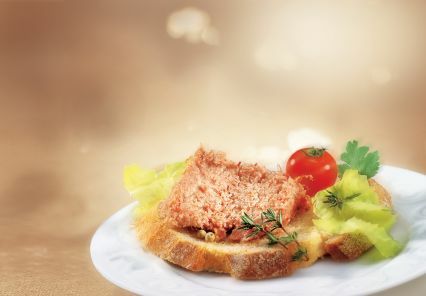 Make a tasty and easy to prepare cold starter for two served on some lightly toasted bread served with a side green salad. 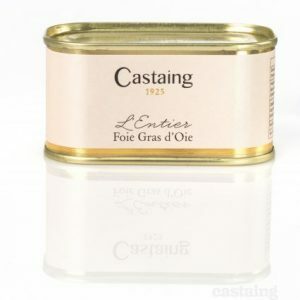 Also popular to include in French food hampers. Storage: Store in a cupboard. Once open store in a fridge and consume with in 3 days. Nutritional Information: Per 100g : 1633 kJ (395 kcal) Fat : 37g of which saturated : 12g / Carbohydrates : 0.5g of which sugars : 0.5g / Protein : 15g / Salt : 1g. 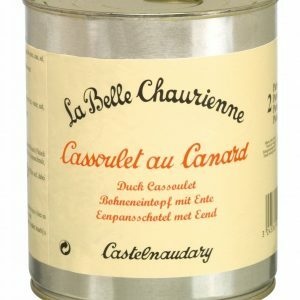 Duck meat (54%), duck fat, salt, spices, preserving agent (sodium nitrite). 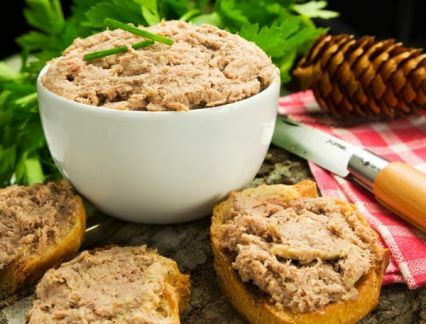 Rillettes are best simply enjoyed on warm and lightly toasted bread or fresh baguette. 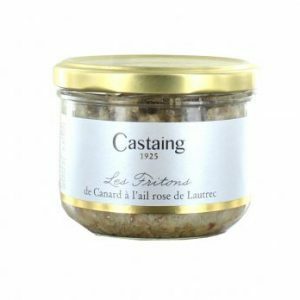 Goes well with a glass of wine.